The big question is: if you know building a list is the smart thing to do as a content marketer, what’s stopping you? More than likely, you’re overwhelmed. There are a plethora of tools you can use to set up and manage your email list, and you may be completely confused. How much money should you pay for an email service? Why do you need a service to send emails to your prospects? And once you get signed up for a service, how do you start building your list and sending out messages? What should you say in those emails? Instead of picking an email tool and starting your first email marketing campaign, perhaps you’d rather close your eyes and think about your next vacation. Maybe you’re hoping the whole problem will just … go away. I’m going to help you sort through what you need to know. You’ll discover why you need an email service provider (ESP) and how to choose the right tool. Even if you’re overwhelmed and confused today, you’ll be able to start building your list by tomorrow. Why do you need a special tool to send emails to your subscribers? You need a special email marketing tool because bad things can happen if you start sending lots of emails without one. You’re a growing a digital business, and right now you have 50 email addresses on your list. You want to send an email to those folks. Why can’t you just open up an email in Outlook, put all 50 email addresses in the “BCC” field, and start typing your message? Sending bulk emails manually (from your email client, like Outlook or Apple Mail) can get you into all kinds of trouble. Your recipient’s email client (like Gmail) might label your message as spam and send it directly into a spam or junk filter. Future emails from you might also get labeled as spam, and you may never be able to reach your prospect again. Your hosting company or Internet Service Provider could notice that you’re sending bulk emails and refuse to provide services for you. You might get flagged by the Federal Trade Commission as someone who has broken the CAN-SPAM Act, and you could get fined up to $16,000 per violation. If you’ve sent out 50 emails illegally, that could mean a $800,000 fine. To avoid delivery issues, service interruptions, and total bankruptcy, smart content marketers use an email service provider (ESP) to send emails to their prospects. An email service provider (ESP) is simply a company that offers email marketing or bulk email services. Examples include MailChimp, Constant Contact, AWeber, FeedBlitz, Infusionsoft, and iContact. Not only will an ESP keep you out of legal trouble, it can also make your life a lot simpler by handling many day-to-day list management tasks for you. Manage your entire opt-in and opt-out process: new subscribers will be added automatically to a list and receive a welcome message from you when they opt-in, and they can be removed from your list in seconds if they want to unsubscribe. Ensure you are abiding by all CAN-SPAM laws by automatically adding an unsubscribe link and your mailing address to the bottom of every email message you send. Provide you with mobile-friendly templates for your bulk emails, so your messages look great on all devices. Handle delivery for you, so it’s considerably more likely that your emails will actually get delivered to the inboxes of your intended recipients. Give you reports on the results of your email campaigns, so you can see how many subscribers have opened (and clicked on the links in) your messages. 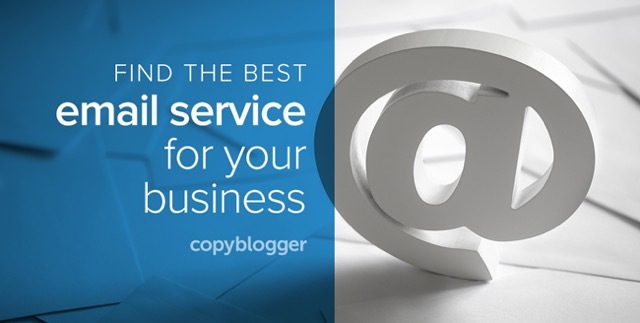 When you’re looking at a list of possible email service providers, how do you choose one? Your budget. There are a range of price points for ESPs (anywhere from free to hundreds of dollars a month), so do your research and make sure you’re comfortable with the amount of money you choose to spend. Your goals. If your goals are modest, and you just want to do some basic email marketing for now, your ESP choice is going to be different from someone who plans to send huge email campaigns and autoresponders to thousands of subscribers. The level of tech support you need. Some services offer 24-hour, seven-day-a-week technical support by phone and others give limited email ticket support. Find out the type of help you can expect if you sign up as a customer. Company reputation and reliability. It’s important to choose a service that has been in business for a long time and has a solid reputation. You do not want to choose a new, unproven ESP. Deliverability. Most established ESPs have high deliverability rates (meaning most of their emails do make it into prospects’ inboxes and don’t disappear into cyberspace or land in spam filters). It’s still a good idea to inquire about and compare the deliverability rates of different providers. Import requirements. If you need to move an existing list of subscribers into a new ESP, you need to find out how a particular ESP handles importing lists of contacts. Some ESPs require you to ask all import subscribers to resubscribe to your list (which could mean losing many of your existing subscribers). If you know you will need to import subscribers, make sure you read the fine print before you sign up for an ESP. The ESP’s user interface. This is actually one of the most important factors when you’re choosing an ESP. Some tools are just going to feel easier than others when you’re trying to design and send emails to your list. You will likely have a preference for one tool over another, so it’s a good idea to test several ESPs before you make your final choice. Many ESPs offer free trials, so test drive several during your evaluation period. Now you’ve got a list of your requirements for an email service provider. You know what to consider and what to avoid, and by now you’ve created a list of email marketing must-haves and dealbreakers for your business. All you need to do next is take a deep breath and make your choice. The best time to start a list is five years ago. The second best time is today. Listen to the content marketing queen, folks. Evaluate your ESP options, pick one, and start your email list today. Tomorrow, you’ll be on your way to content marketing success. Don’t miss any upcoming posts on Copyblogger! Register here to get our free training and our Weekly newsletter.